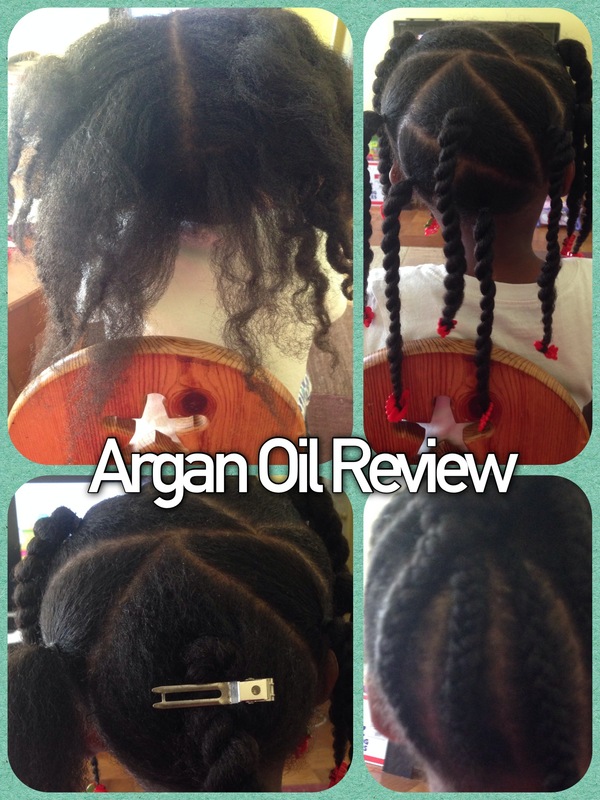 Summary: We've used the Argan oil for about two weeks on my daughters' hair and dry patches on their skin. So far, I see a big difference so I will continue to use it. The dry patches have totally cleared and their hair looks well hydrated but not saturated with oil. My daughters have different hair textures so it isn’t always easy to find a hair moisturizer that will work well for both of them. Keeping natural hair clean and moisturized is very important for growth and healthy maintenance. I don’t want to use a moisturizer that could harm my daughters’ bodies as it is absorbed through the skin. After trying several different natural moisurizers, like coconut oil, one of the best solutions I have found is Argan oil. I have extremely sensitive skin and I was able to use the oil on my own hair and skin without any of the allergic reactions I have seen from other products. Typically, I apply Argan oil to the scalp of my daughters’ hair immediately after washing. I then brush, comb, and style as normal. About midweek I reapply a little of the oil as I redo their hair and brush it up into a style. A little bit of the oil seems to go a long way. What can Argan Oil be used for? The oil is pressed from nuts found on Morocco’s Argan fruit trees. We’ve used the Argan oil for about two weeks on my daughters’ hair and dry patches on their skin. So far, I see a big difference so I will continue to use it. The dry patches have totally cleared and their hair looks well hydrated but not saturated with oil. The oil is light and not greasy. The best part about Argan oil is that is doesn’t contain any strange hard-to-pronounce ingredients. It is 100% natural Argan oil. I have very long natural hair and I don’t take vitamins, I prefer to eat healthy and use topical products that provide the same results. Argan oil works for me and provides fabulous results. Disclaimer: A complimentary product was received to facilitate this review. All opinions expressed within this post are my own.